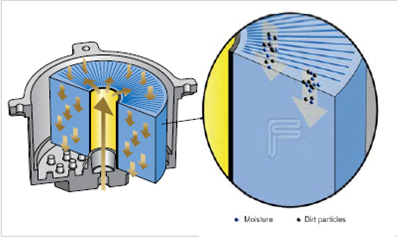 Filtertechnik's high performance cartridges allow for the removal of ultra-fine particulates and debris, thereby immediately reducing the risk of contamination-induced damage to parts and machinery. 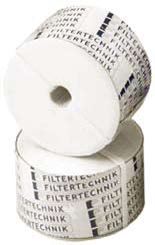 The FTP 180 series can be used to enhance the life and performance of other, more expensive system filters. The wear and tear of hoses and fitting is also greatly reduced due to the effective removal of harmful particulate. With today's machinery operating under increasingly fine tolerances,the removal of particulate and moisture down to acceptable levels is paramount. As the FTP180 system effectively remove water from the oil/fuel, risk of fluid degradation is significantly reduced along with inevitable assoicated down-stream problems.